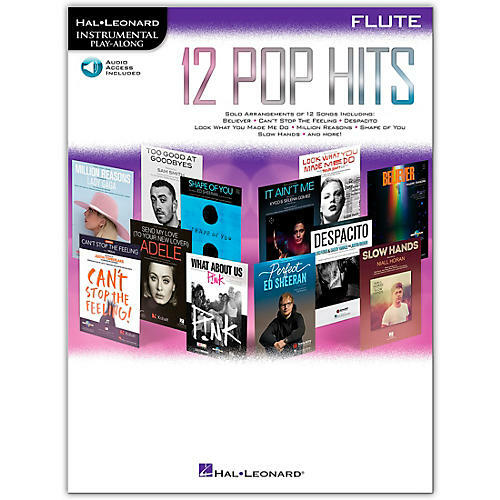 A dozen hot contemporary hits are included in this collection perfect for budding instrumentalists. It features online access to audio demonstration and backing tracks for download or streaming to help you hear how the song should sound then play along and sound like a pro! Songs include: Believer · Can't Stop the Feeling · Despacito · It Ain't Me · Look What You Made Me Do · Million Reasons · Perfect · Send My Love (To Your New Lover) · Shape of You · Slow Hands · Too Good at Goodbyes · What About Us.